The Christian life is a journey and like all journeys, it’s important to make a good beginning and then to stay the course. 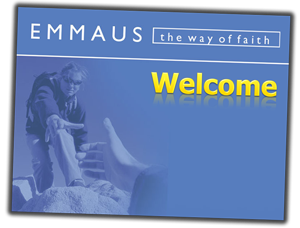 The Emmaus course is a relaxed course to help those who are just beginning to explore faith and for those who have been travelling for a long time and need a refresher. Gathered together around a meal and an open discussion, everyone on the Emmaus is free to question, to discuss, to learn, to explore God, and to enter into prayer. The Emmaus Course, in total, takes fifteen sessions but it’s broken into three phases and those three phases are spread throughout the year. Manageable chunks of between four and six weeks for each phase mean that you can discuss and learn, take a break, and then come back for more if you wish. There’s no compulsion on anyone to do all three phases if it’s not working for you. Of course, if you’re enjoying yourself, making friends and learning, you’re welcome to do the whole course in the space of this coming year. We will be running a daytime group (10 a.m. till noon) and an evening group (7.30 p.m. till 9.30 p.m.) every Thursday to cater for a range of life situations. You’re welcome to come to whichever group is the easiest for you. Use the Contact Information on this website to let us know that you’d like to come and we’ll be glad to provide you with more details. Just let us know your name, phone number and/or email address and we’ll be in touch.